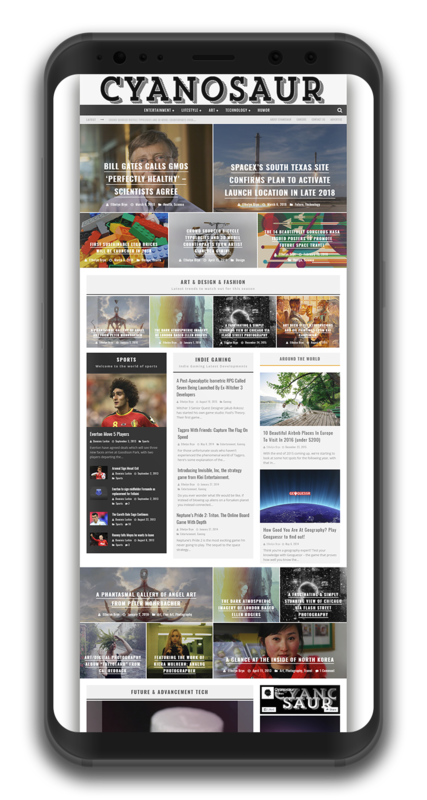 The online destination for news & entertainment for creative & smart readers. 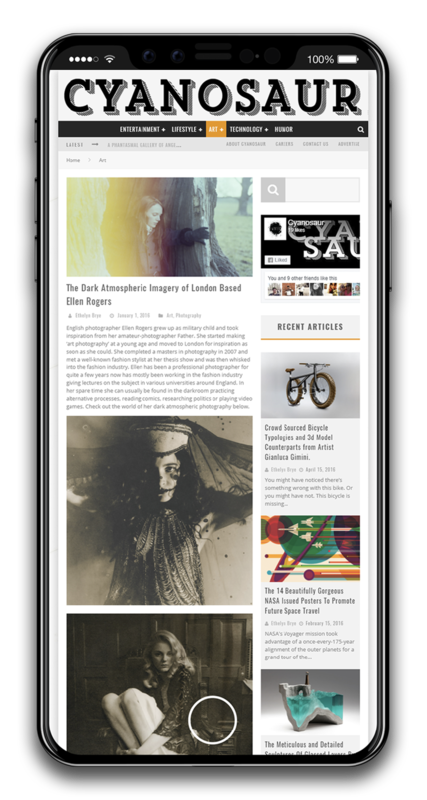 The site provides daily news on entertainment, technology, art & design with quality content, images and videos. With over thousands page views a month, it provides advertisers a strong platform to outreach both locally as well as world wide to a specific highly intelligent audience. Passionate about hot trends in every day life and keeping you updated with the latest news in the world today. Networked in to the latest trends and harnessing the power of social media to connected citizens with the latest technology, with a focus on providing creative content on a range of devices for the readers. in-depth reading on tech and future developments. 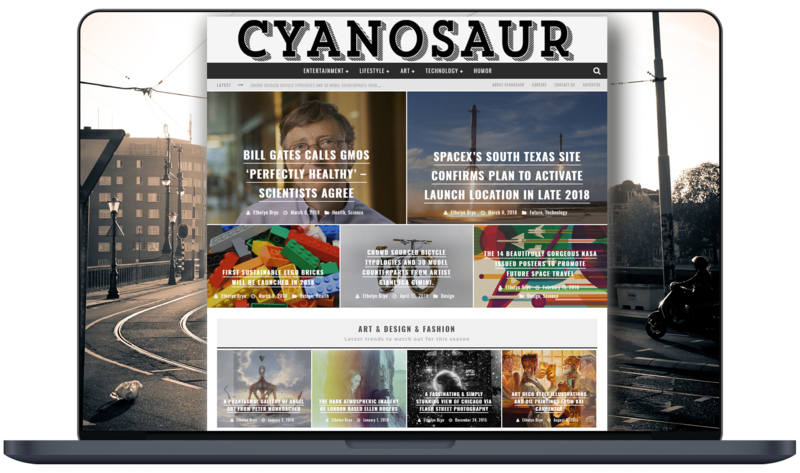 Cyanosaur is passionate about hot trends in every day life and keeping you updated on what's going on in the world today, by providing quality content on a range of topics for the readers. Keep updated with various articles on Film, Music, Gaming & Sports. Get inspired and provoked with Photography, Design, Typography & Fine Art. Chill out and read some articles on Travel, Fashion, Food & Interior Design.